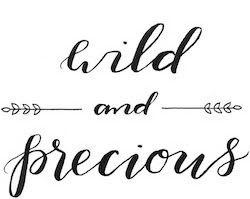 Wild & Precious: Thanks Leigh Leigh. 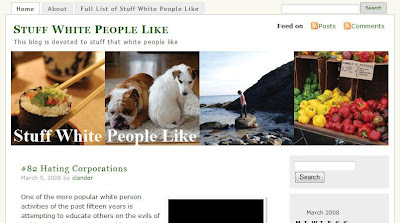 Click to enter Stuff White People Like. Leigh Stuckey... thank you for always adding humor to my life and sharing this HA-larious site with me. Perhaps you should consider getting a restraining order on these people from getting inside your head and making a website about it! Love you. It is a known fact that white people make up 95% of non-profit organizations. They can’t get enough of them. They like working there for a number of reasons, the most important of which is that it gives them a sense of self importance. This is important so that they can tell their friends and parents that they are “helping” society, and not just working to make money. But the sweet side of non profits is that you are paid a competitive salary for your field. So you can be working at a non-profit and still make six figures, and you don’t have accountability or pressure. Again, like most things with white people - you can’t lose! I just went back through their archives and realized I am their stereotype. An apple owning, Obama-supporting, recycling, liberal arts degree, study abroad, NPR listening, vegetarian white person.